The Kennet Catchment Partnership is working to help tackle the impacts of phosphorus-rich wastewater on our rivers. Coming from the food we eat and the cleaning products we use, the waste water from our homes and businesses is rich in the nutrient phosphorus. Where it can’t be removed during treatment, (many smaller wastewater treatment works, and all private systems like septic tanks, don’t have the capability), is it discharged into our environment. In the form phosphate, it plays havoc with the natural balance of our waterways, favouring nutrient-hungry algae over the crowfoot, water parsnip and watercress usually found in the River Kennet and its tributaries, including the Lambourn and Dun. We have identified the area of the catchment with the highest phosphate concentrations, but we see the evidence of high phosphate throuhgout the river system where algal blooms are a problem each year. Our ten tips will help the owners of private sewerage to keep their systems in good order, preventing costly repair bills and avoiding environmental pollution. The tips combine the new ‘General Binding Rules’ with best practice advice which will keep systems working effectively. In certain parts of the catchment, new systems will require a permit to ensure that they don’t pollute our rivers – check Government advice to find out where. Households and businesses on mains drainage can also help to reduce their share of the impact, by limiting the amount of phosphate they contribute via domestic cleaning products – our leaflet highlights that while phosphate-free products can be readily purchased, some commonly-used cleaning products are nearly a third phosphate. 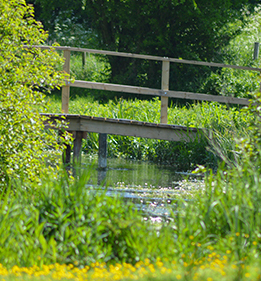 Tell us if you’ve made the switch to protect the River Kennet on Facebook. Everyone can make a difference by choosing to use phospahte free and low phosphate cleaning products. Meanwhile, other stakeholders are also taking action to protect the Kennet and its tributaries from phosphate pollution. Catchment Sensitive Farming officers work with farmers to help them reduce all types of Diffuse Water Pollution from Agriculture (DWPA) in order to protect our rivers. Water Companies are also investing in upgrades to wastewater treatment works to enable them to more effectively remove phosphate from the water they receive. This can be cost effective for larger works, and most of the larger works have already been upgraded. But it can be impractical or extremely expensive (impacting customer bills) to add this treatment at smaller works, so companies are involved in national trials to try to identify new means of undertaking removal at these more difficult sites.